As in life, leaders rise to the challenge, bubble up from the masses to take on responsibility. To guide and to lead. 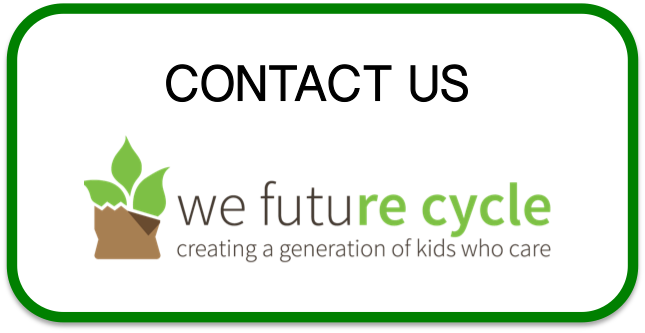 This is exactly what we see in the schools we start the We Future Cycle Recycling Program. All students go through training and learn where “away” is, they all learn about the problems garbage presents, they all learn that they can all make a difference by sorting their waste in the correct bin, but in each school a handful of students are somehow grabbed personally by the project and they become our Green Star Students. Meet our New Rochelle Jefferson Elementary School Breakfast Green Star Students Jimena Garcia, Alexandria Hunter, and Mark Macias. These three students are managing the entire breakfast recycling project. Voluntary, on their own, and with great enthusiasm. They come in early, make a visual inspection that the station is set up correctly and make sure that all breakfast students are sorting their waste in the right bins. This kind of engagement, taking on a project, making sure on a day to day basis that things are working are signs of outstanding leadership qualities. Way to go Jimena, Alexandria and Mark!